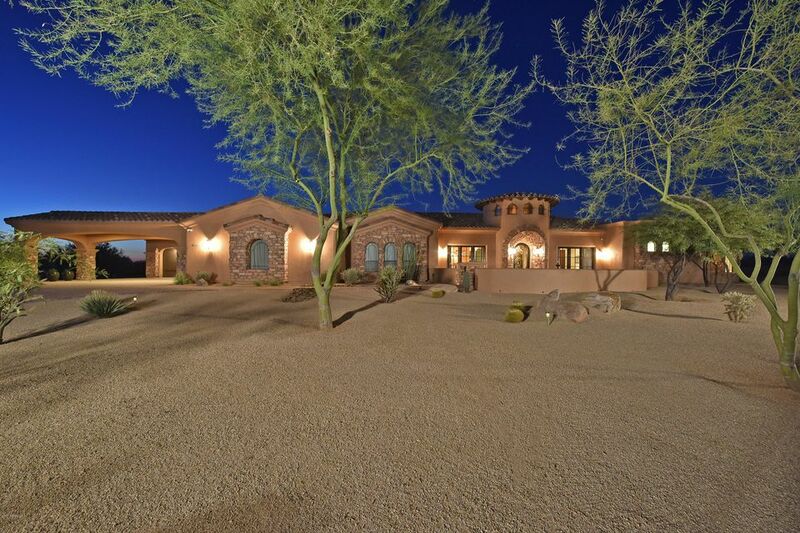 All PINNACLE PEAK RANCHOS homes currently listed for sale in Scottsdale as of 04/23/2019 are shown below. You can change the search criteria at any time by pressing the 'Change Search' button below. "A home of this style, location, quality and setting is a rare occurrence. A true ESTATE property, this stunning home has 5 bd, 5 full baths, 2 half baths, a bonus room and separate office. Situatated on 4.3 pristine acres behind its own custom wrought iron gate, this is High Sonoran Desert luxury living at its very best. Artfully constructed with only the finest finishes, highest standards, incredible attention to detail & architecture, you'll never leave! The flowing open floorplan with 14' woo"